Over twelve months ago I decided to compete in the Talisker Whisky Atlantic challenge, a 3,000 mile race known as the world’s toughest row and I was lucky enough to find a crew from the Tyne Rowing Club, being Claire Hughes, Dave Higgins and Guy Clack, who together with myself Phil Kite, were all up for the challenge. When we decided to compete in the race we thought that we would do it not just to support local charities, but also to demonstrate that innovation is alive and kicking in the North East by incorporating and showcasing innovative products and services generated by our regions businesses, colleges and universities, on the project. I had spent 30 years in industry more recently having been the CEO of the Reece Group and Non-Exec Director of the EEF (the voice of UK manufacturing), and thought it was time to do some personal championing of the region. This has led to the project attracting an number of innovative sponsors such as Power Roll who have developed solar film that is 145 times thinner and 47 times lighter than traditional PV panels, ground breaking technology, that will be used to generate power for the boats sub systems; Akzo Nobel, a business that has developed marine paint that prevents the attachment of slime and barnacles on the hull of boats, increasing the boats speed. 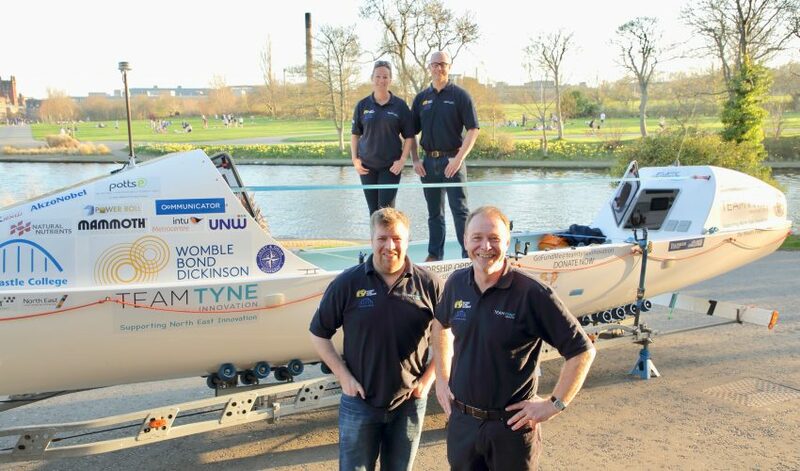 Mammoth who have used advanced sleep and support technologies to design mattresses for the boat that will deliver comfort, good sleep, thereby improving the performance of the crew; Natural Nutrients who have developed natural food supplements that will improve the crews physical performance. Newcastle College whose students are working on a number of projects associated with the challenge including the artistic design of boat. Overall, we have made good progress over the last few months and our innovative sponsors now include Womble Bond Dickinson, Newcastle College, Newcastle University, Durham University, the North East LEP, UMW, Intu Metrocentre, Akzo Nobel, Cubic Eyewear, the All-in-One Company, Nigel Wright Recruitment, Natural Nutrients, Mammoth Mattresses, Jotron, Screen Services and Roar Motion, with more to come. Full details on our innovators and sponsors can be seen on our website by viewing our blog and sponsors pages. 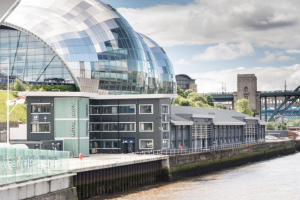 The exhibition at HMS Calliope, on the Gateshead Quayside, will be a major event in our calendar with our sponsors and innovators having the opportunity to showcase their technology and services to the public. There will also be a corporate lunch and evening Cocktail Party to celebrate our progress and increase networking opportunities. Full details on the multiple events we are been to and that still have to take place can be seen on our website by viewing our events page. Team Tyne Innovation has also been able to showcase our sponsors and innovators at events at which we have been guest speakers. To date we have been keynote speakers at the Made in North East awards, Venturefest and the Newcastle College Apprenticeship awards and will soon speak at the North East Accountancy Awards at the Hilton in June. Finally, one of the goals of the team is to support a number of good causes including Daft as a Brush Patient Cancer Care, the Stroke Association and St Oswald’s Hospice. It is hoped with the support of the public we can make a real difference to these worthwhile organisations.